On August 15, Paraguayans celebrate founding of Asunción. This public holiday commemorates the founding of the capital and largest city of Paraguay, Nuestra Señora Santa María de la Asunción or simply Asunción, in 1537. Asunción is one of the oldest cities in the Rio de la Plata Basin and South America in general, that is why it is sometimes referred to as “Mother of Cities”. It was founded by Spanish explorer Juan de Salazar y Espinosa on August 15, 1573. He named the city Nuestra Señora Santa María de la Asunción (Our Lady of the Assumption) because on August 15 the Catholic Church celebrates the Assumption of the Virgin Mary. Asunción became the center of a large colonial province in 1542, when indigenous population destroyed Buenos Aires and made the Spaniards flee to Asunción. When Paraguay declared its independence from Spain in 1811, Asunción became the capital of the newly established republic. 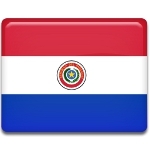 Currently, it is the main cultural and industrial center of Paraguay as well as the home of the country's government. Founding of Asunción is celebrated throughout Paraguay, with the celebration in Asunción being the brightest. The festivities include public speeches, parades, performances, dances, singing and parties.